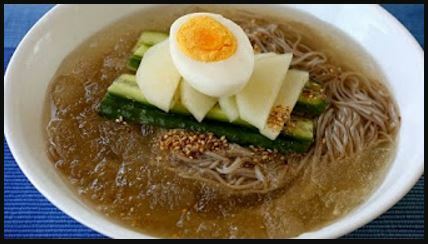 Is pho ever served ice cold similar to that of Korean mul-naengmyeon? If so, does it have a special name? Apart from some exceptions (like cà phê sữa đá) I have the impression that there are no traditional ice-cold Vietnamese dishes whatsoever (I'd even dare to say that almost all desserts are eaten warm or at least at "room temperature" at 36°C / 96°F). Maybe it's just due to the non-availability of ice and constant power outrages that lead to cozy 20°C / 68°F in the freezer. What I've also observed is my Vietnamese relatives in Vietnam always want to have their tender herbs / lettuce / mung bean sprouts blanched and served immediately. The reasons are omnipresent nasty pathogens. To answer the question: Probably no. At least not traditional phở. You could do it, but you would need to clarify the broth or it would have a somewhat impalpable fatty chew to it. And by clarifying a finished broth, you would alter the taste a bit more than discretely. That does not make it impossible, you will just need to change the order of your stock(s). Start with any fatty components, clarify the broth, add the non-fatty stuff, simmer as usual, cool then skim any fat remaining. 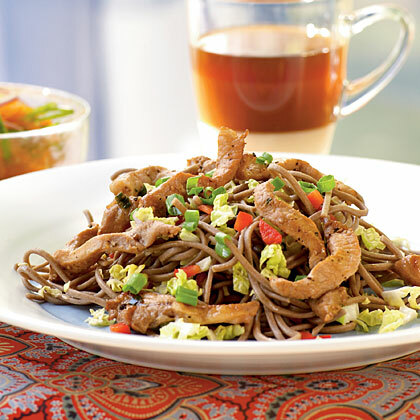 I'm not sure how authentic it is, but I was able to find an often repeated dish referred to as Cold Soba Noodles with Vietnamese Pork that is in a way more like mul-naengmyeon than Pho because it's made with buckwheat noodles. 2 packets of mustard oil that comes with the package of naengmyeon noodles.